Fiona Maye: This court is a court of law not of morals. 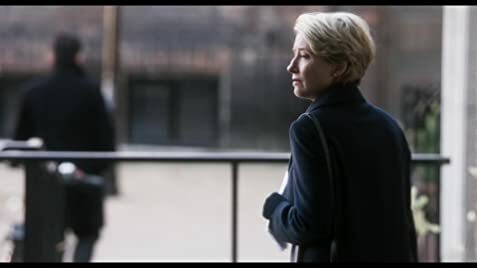 Have a love for Emma Thompson and Stanley Tucci, and both have done great work in many films worthy of their talent. Also have liked quite a fair bit of Richard Eyre's work and the writing of Ian McEwan, particularly 'Atonement' and 'On Chesil Beach'. Seeing 'The Children Act', having really been compelled by the advertising, liking the book and having heard a lot of good things about it, it may not be one of Eyre's best or McEwan's, though adaptation-wise it does acquit itself well. It's also not one of the best overall films of Thompson or of Tucci (films, not performances). 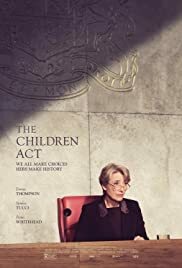 'The Children Act' is an uneven film, but it is on the most part interesting and well done and its best parts and good things are absolutely wonderful. Not one of my favourite films of the year but not one of the worst either. Commencing with the good things, 'The Children Act' is very well made. Particularly striking is the cinematography, both haunting and beautiful and enhancing the evocative period detail perfectly. Also haunting is the music, which does get embedded in the brain and takes a while to leave it. The script is mostly very literate and nuanced and Eyre directs impeccably. The first half is wonderful. It's intelligently done, always absorbing and with some genuinely moving moments. Pace-wise, 'The Children Act' is deliberate but most of the time in film this is not a bad thing and this is not an exception for the first half. The characters are compelling in their realism, though Adam is more empathetic in the book. 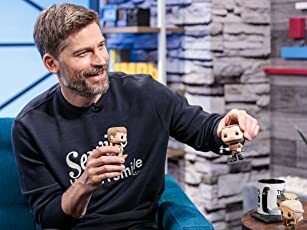 What is especially good throughout is the acting with possible career-best work from Thompson, who is just sensational, and affecting support from Tucci. Jason Watkins brings some levity and Fionn Whitehead has a bright future ahead if continuing down this path. It is unfortunate however that the second half isn't as good. Again it is poignant, it has some nuances and it is beautifully shot, scored and acted. It just gets too melodramatic with some vague plot points that are under(or un) explored and the pacing slackens. Writing loses its way a little too, the nuances aren't as frequent and corn creeps in. The outcome is easy to figure out too early.